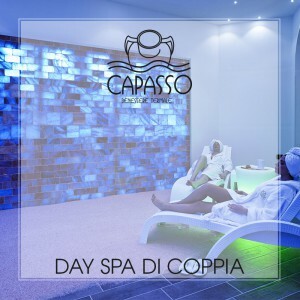 The Hotel Terme Capasso in Contursi Terme features large, brightly sunlit modern rooms with a terrace overlooking the thermal pools and Sele River; elegant teak furnishings, with refined linens, lighting and floors. The 39 rooms, of which 2 are for disabled guests, include doubles and queen-size bedrooms, both usable for single occupancy (a third and fourth bed may be added to some); amenities include air conditioning, satellite TV, LED screen, SKY programming, direct telephone line, mini-bar and Wi-Fi. Elegant rooms with refined furnishings in every detail, featuring all modern amenities, perfect for a relaxing and pleasant stay in Valle del Sele, Salerno. With modern design teak furnishings and a terrace with a view. LED screen TV with digital terrestrial coverage. Large rooms overlooking the hotel's thermal pool, featuring modern design teak furnishings, refined fabrics and all the best amenities. Brightly lit, comfortable rooms that offer exclusive accommodations in Salerno, for a relaxing and rejuvenating holiday. With satellite TV and SKY programming.